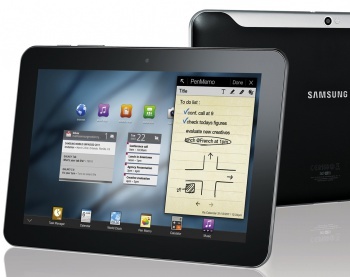 Apple must publish a notice stating Samsung did not copy the iPad design. The Apple-Samsung rivalry has become as contentious as Nintendo-Sega, Yankees-Red Sox, and even Apple-Microsoft. Apple's innovative iPad tablet computer was obviously the first to market, and Samsung helped the Cupertino company build some of the components. Then, Samsung designed and built its own tablet called the Galaxy Tab, which Apple decided to fight not by outperforming but through litigation. The legal battle between the two companies is being fought all over the world, and the latest skirmish is in the U.K. where Judge Colin Birss recently ruled that Samsung's tablet was not likely to be confused with the iPad because it was "not as cool." Today, in another ruling, Judge Birss ordered Apple to publish a statement making it clear Samsung did not copy the iPad design. Yep, you heard that right, Apple must pay for what amounts to an an advertisement for a competitor in major publications in the U.K. such as Financial Times, the Daily Mail, Guardian Mobile magazine, and T3. A statement must also appear on Apple's website for at least six months. "No company likes to refer to a rival on its website," said Richard Hacon, a lawyer for Apple. Judge Birss' order comes in response to Apple's statements after the July 9th ruling which implied Samsung directly copied designs. Samsung argued the comments "caused real commercial harm" to their bottom line, and it goes against the ruling Birss made in favor of Samsung. The legal fight between the two technology giants is far from over. There are patent infringement cases pending in ten countries, and Apple even plans to appeal the U.K. ruling soon. The Apple-Samsung rivalry continues. After the dust settles, which technology superpower will reign supreme?